See my OP on the binding affinity aspect of your failure to comprehend. Oh I guess you forgot to mention the bind transiently and the TRANSLOCATE to other sequences to actually get to the target sequence in a sea of billions of non-specific sites. DNA binding proteins spend a lot for their time bound to completely unrelated sequences, and a decent amount of time unbound, so the amount of time they spend bound to NEAR-matches doesn’t really matter too much. You want to say with a straight face that binding to non-specific DNA sequences precludes the zinc finger array from eventually parking on the intended target. Good grief, no! That’s what YOU are saying. I disagree. What the paper I provides shows is that the zinc finger arrays are like people searching for houses to live int. They go into a house briefly and leave if they don’t find what they are looking for. The visit and leave scenario is like zinc finger arrays binding to completely unrelated sequences. But when the target house is found, SHAZAM, the transcription factor finds its home! “SHAZAM” is a great argument.Your analogy breaks down, however, because they spend most of their time NOT in a house. There is an “off” rate (unless you are streptavidin, which you are not). It happens to have 2 zinc fingers. Below is a screen capture with the zinc finger data highlighted in red. I will describe more in subsequent comments. DNA not only serves to provide blueprints to proteins, but it can act as a scaffold/parking lot for molecular machines. 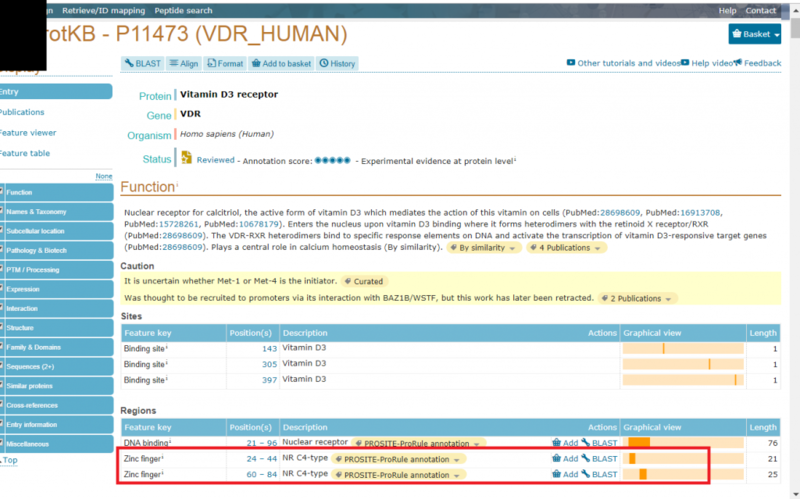 The most amazing thing from ENCODE 2015 was fact the Vitamin D Receptor could park on introns, exons of on gene in order to regulate other genes! So if we look at DNA as a parking lot, because each location has sequences associated with it, the sequences can act as a bar code of sorts to identify the parking lots in DNA. The zinc fingers are like bar code readers. When the right bar code is found, the molecular machine can park there (a machine like a Vitamin D receptor or Transcription Factor or whatever). 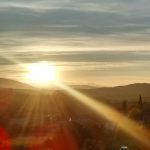 Readers are invited to see the paper I linked to and decide for themselves. The time bound to unrelated sequences is called SCANNING in the paper, as in bumping into other sequences until Mr. Right House DNA is found. In any case, I thank Jock for keeping my thread alive. I plan to post more in this thread, and he’s going to volunteer, I can see, to keep this from being a monologue — aren’t you. What a pal. But now DNA jock has gone on record as saying and Identical tandem zf-repeat in a hypothetical ZFP protein would not change relative affinity of the by the new ZFP toward regions the ZFP bound to before the tandem repeat event. Anyway, I know now how I’ll be mis-represented if I use the word (relative) affinity rather than specificity. So thanks to DNA_jock for the conversation and showing how he intends to distort what I say. That was valuable input. I’ll have a better choice of words in my presentation. stcordova: I’ll have a better choice of words in my presentation. Who will you be presenting your thoughts on zinc fingers to? Suppose I’m God. I want to generate a TF composed of multiple units because … well, I’m God, do I have to explain everything? Having done so, I discover that I have unavoidably changed the binding characteristics relating to other sequence, because for some reason I’ve decided to constrain everything by the same basic forces. The more subunits I add, the greater the issue, which is a bit of a bugger because I want more subunits, dammit! What have I done to get round this? Consider the problem of a SOLITARY zinc-finger trying to bind to DNA. The solitary zinc finger can target 3 or 4 bases. This means can pick out at best a proportion of 1 out 256 = 0.4% possible locations on a some arbitrary genome? So in a genome of 3.3 gigabases, it might pick out about 13 million sites? Not good. Not much for selection to work with. So it might pick out 805,000 sites on the human genome. Still not too discirminating. So lets try 12 base identification. Good now we’re down to about 200 locations on the genome. The point? Not much reason to believe even as single random tandem pair of zinc fingers will be functional for a transcription factor, much less a SOLITARY zinc finger. So then where did the first KRAB zinc finger come from. PLEASE no phylogeny BS, how about a description of evolution in terms of functionally feasible steps, not a phylogenetic hand wave. 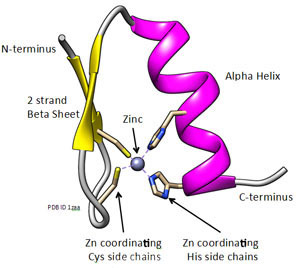 Alan Fox: Who will you be presenting your thoughts on zinc fingers to? This presentation will be substantially more technical. I’m going to lobby to get some of the interaction publicly available, but some of the members would probably not want their names revealed publicly since this is an ID-friendly group. So we’ll see what I can do. I’ll try to post my rehearsal presentation online. Regarding KRAB ZFP and alternative splicing!!! YAY! Finally, another characteristic of Kruppel zinc finger motifs is their ability to not only bind DNA, but also RNA. There are some examples of KRAB-ZFP implicated in both transcriptional regulation and RNA processing. Among these, ZNF74 and ZNF224 have been shown to exist as multiple protein isoforms generated through alternative promoter usage and splicing. 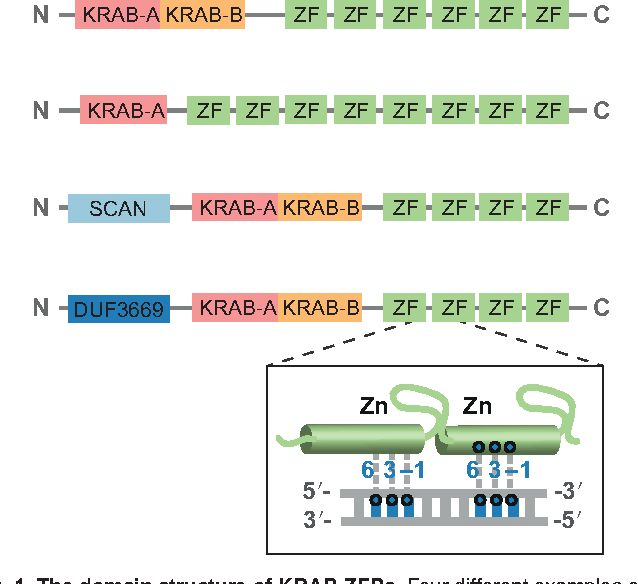 Both ZNF74 and ZNF224 isoforms exhibit differences in their transcriptional repression abilities and nuclear partitioning, with the isoforms devoid of the KRAB box being found in splicing speckle domains and able to bind RNA [52-54]. By contrast, the ZNF74 and ZNF224 isoforms containing the full KRAB A and B boxes exhibit strong transcriptional repression and localize in a diffuse pattern throughout the nucleus. These findings indicate that different KRAB-ZFPs may perform different functions, being involved in RNA processing and transcriptional regulation. It is also possible to speculate that alternative splicing may be a common means of modulating the multifunctionality of these zinc finger proteins. Yeah, now we’re starting to see what alternative splicing actually does for the organism! DNA_Jock ignored the fact I used the word RELATIVE when describing affinity. He wants to bash something other than the intended usage of my words, that’s on him, it doesn’t refute my point. He wants to change the meaning of what I’m claiming by carefully omitting my use of the word RELATIVE, that’s on him. these experiments showed that the 268//NRE peptide discriminates very effectively against nonspecific DNA and indicate a specificity ratio (Kdns/Kd) of 8.8 ± 1.5 × 106. That’s exactly what I was getting at with my #25 example above becoming more specific than the other 63 targets after the “random” tandem repeat changes the zinc finger protein. the motifs preferred by a C2H2-ZF array typically resemble concatenation of the base preferences for the individual C2H2-ZF domains (Wolfe et al. 2000). stcordova: So it might pick out 805,000 sites on the human genome. Still not too discirminating. So lets try 12 base identification. Good now we’re down to about 200 locations on the genome. The point? Not much reason to believe even as single random tandem pair of zinc fingers will be functional for a transcription factor, much less a SOLITARY zinc finger. So then where did the first KRAB zinc finger come from. That’s a good question. Of course, KRAB-zinc finger proteins have not evolved in the context of the human genome, but are suggested to have evolved as repressors of parasitic transposable elements in the vertebrate lineage. KRAB-ZFP genes display signs of strong positive selection at the positions encoding for the DNA-contacting amino acid residues,consistent with the idea that their products interact with DNA targets that themselves are capable of rapid evolution, such as TEs or viruses (Emerson and Thomas, 2009). Furthermore, although the length of KRAB-ZFPs (given the many ZNFs present in each array) should allow for a very high degree of specificity in the recognition of long DNA targets, it has been noted that KRAB-ZFP binding motifs are usually shorter than predicted. 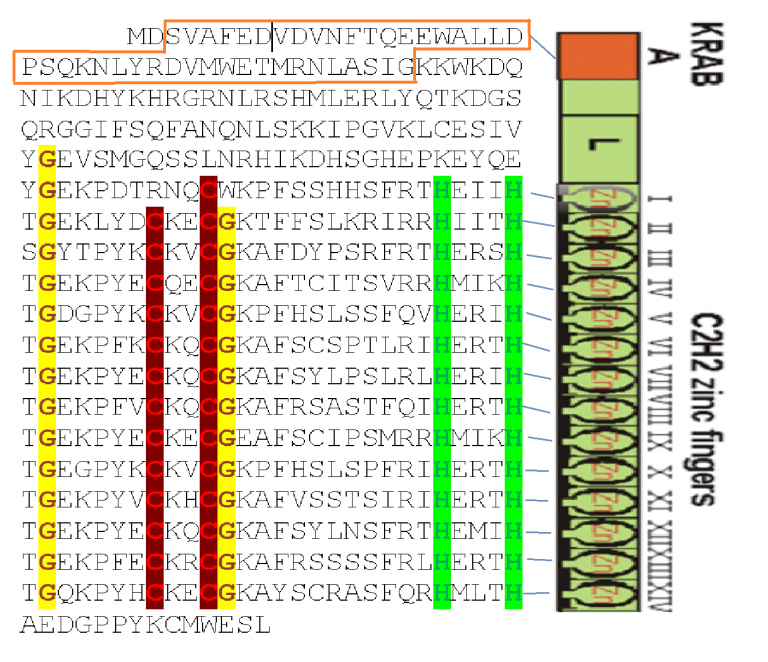 This suggests that different ZNFs in a KRAB-ZFP recognize different DNA motifs, as is the case for the C2H2ZNF protein CTCF (Nakahashi et al., 2013), or that ZNFs not involved in contacting DNA could engage in other types of interactions, for instance with RNA or proteins (Najafabadi et al.,2015; Imbeault et al., 2017; Schmitges et al., 2016). I don’t know how plausible this scenario is, but at least it demonstrates that there are situations in which changes in (relative) binding affinity are not necessarily “bad juju”. You simply don’t know whether mutations will turn out to be deleterious or not. Ouch, broken link. Here is the paper. 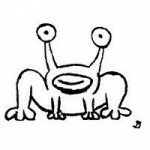 stcordova: But now DNA jock has gone on record as saying and Identical tandem zf-repeat in a hypothetical ZFP protein would not change relative affinity of the by the new ZFP toward regions the ZFP bound to before the tandem repeat event. I am fairly sure that I have not gone on record saying anything that incoherent. Please slow down and read for comprehension. stcordova: DNA_Jock ignored the fact I used the word RELATIVE when describing affinity. I am “carefully omitting” nothing, Sal. Your recollection of the conversation is false. Well, I pointed out that if the protein is already functional as a transcription factor, the tandem repeat would in general reduce it’s binding affinity for the original Transcription Factor binding site, and worse the transcription factor starts binding to some other site in the genome! OOPS! No Sal. The tandem finger would bind tighter and more selectively. Do you understand the chelate effect? Your ignorance of biochemistry is impressive. More selectively IF THE BINDING TARGET ACTUALLY EXISTS! If the binding target doesn’t exist, then being more selective will then reject something it once accepted. This is intuitive, but utterly WRONG. Your “reject something it once accepted” is a claim that the ZnF will no longer bind to a former target. So I introduced my “Grade School” example to illustrate how the binding energies would change. Note: they ALL go UP, and the strongest binder is a new site. Are you going to retract you howler that adding a zinc finger copy increases binding affinity for a PRE-EXISTING cis-regulatory element? Really. This will be fun. Your “KA_25” “refutation” is entirely anticipated in the “Grade School” example. B) your thesis is torpedoed. Not that I expect you to understand this. Surely DNA_Jock is not asserting after the tandem repeat of the zinc finger protein the relative ranking of the KA_S for each of the cis-regulatory regions will be the same after the tandem repeat? So at best, you didn’t answer the question question I was asking since you answered regarding a solitary finger when I was asking about TANDEM fingers, at worst it was stupid and incoherent obfuscation contrary to your claim you didn’t say something so stupid. In any case, you lose that exchange. But in any case, I’m thank you for keeping the thread alive. I’m pretty much ignoring what DNA_Jock may say from now on, I can’t get him to retract his misrperesentations, and then he answers questions I ask with answers to questions I didn’t ask. This is obfuscation and red herrings. So feel free to ask me directly if you have questions you’d like me to address regarding any of what my critics say, otherwise some of them I just don’t have time for. DNA_Jock, thanks for keeping my thread alive, but well, it’s simply not productive for me to keep spending time correcting how you improperly characterize my claims. So feel free to keep blasting away with stuff that I didn’t say. I’m tired of dealing with it. Thanks anyway for the conversation. And no, my thesis wasn’t refuted. So to get started give me the top 3 arguments why you think zinc fingers uniquely support the design inference? I do think the argument about mere replication being problematic is plausible. Support would help here. Before answer, this is part of a multi-part presentation tentatively entitled: “Promiscuous Protein Domains, Probability Pedagogy and Practice” to reach out to some of the IT/Engineer/Physics type people who have some biology background. I put on the table easier alternatives to Dembski’s specified complexity arguments, show case patterns not consistent with Universal Common Descent (except by miracles), explanations for functionality of ERVs and other transposons, poly function/ poly constrained proteins, poly constrained DNA, and alternative splicing. The KRAB Zinc Finger systems and interactions are a showcase of ALL of these issues!!! I’ll try to answer your question in a subsequent comment. colewd: If it gets in the way of cellular control like protein destruction then you probably have “bad juju”. And if it has a positive effect, you have good juju. 1. Some proteins have MODULAR design, and the modules appear in protein lineages that defy common descent. This is quietly acknowledged in evolutionary literature as the problem of “promiscuous domains”. ZNF136 (mentioned above) highlights the problem of trying to make genes/proteins through RANDOM copy and paste of random sections of DNA. This is analogous to writing computer code via random copy and paste! The same problem of promiscuous domains may involve promiscuous binding motifs in regulatory regions that may regulate phylogenetically unrelated proteins. Same for miRNA motifs and PTM motifs! 2. Zinc Fingers and other binding domains and DNA-binding proteins show that DNA is poly functional — not only as a source of blueprints for proteins, but also a scaffold/parking lot/navigational aid. A case in point are enhancers on exons (WOW!) and Vitamin D receptors parking on silenced genes to regulate other genes! There are also transchromosomal transcription factories which may leverage zinc finger proteins. 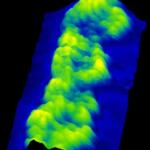 Transchromosomal transcription factories/topologically associated domains are the subject of the NIH 4D Nucleome project. 3. Natural selection and waiting time problems preclude evolution of KRAB-ZFP proteins. SO, we have a lot to talk about, and none of it is simple, but if you want to hear more, feel free to ask! When you say promiscuous domains in comment one is that the same as what I quoted above? In this case I visualize multiple binding substrates such as cytochrome C.
When you say promiscuous domains in comment one is that the same as what I quoted above?In this case I visualize multiple binding substrates such as cytochrome C.
Yes that is exactly the problem! A few papers acknowledge it. I know one of the researchers in the field of “promiscuous domains” personally…. Here is a conceptual diagram of 4 different KRAB-Zinc Finger architectures. I’ll explain more later. But for now, each line represents a particular KRAB protein architecture. The colored boxes are the domains. Got it. The promiscuity of cytochrome c was a problem for Theobald’s paper as it meant that different sequences were important to different species as electron transport was just one of several functions. So point one is now clearer. I recommend you define promiscuity clearly in your presentation if you have not done so already. Is your point that random mutation to improve on function can degrade another function? If so this would also apply to point 1. Another diagram that I put in MS Paint to show the amino acid sequences of the protein ZNF136 (metioned in the opening). There is the KRAB-A domain letters circled in orange which corresponds to the orange conceptual box to the right. 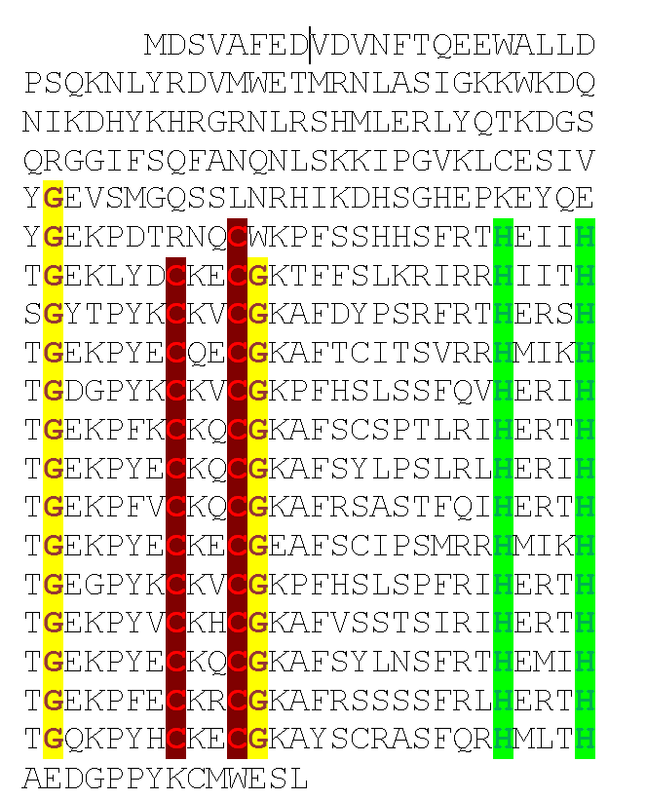 The 14 zinc fingers (1 degenerate) are also laid out to correspond to the 14 boxes on the right. Note the classical Zinc Finger architecture of a “C” letters in red with a particular spacing and then the two “H” letters in green with a particular spacing. These colored letters attach to the zinc ion. So again this shows the concept of a domain. Zinc fingers have some obvious similarity between each other, but they can be different in spelling. Same for the KRAB-A domain. Now the KRAB domain in some proteins can be alternatively spliced out so that all that is left the protein minus the KRAB domain. This alternative isoform then has a different function. So one gene can then make two different proteins. 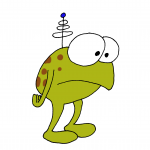 The full KRAB-ZFP will act as a transcription factor, but the alternatively spliced out gizmo does something with RNA! This is an example of a polyfunctional gene/protein. Pharma researchers spliced out the KRAB domain and combined it with another domain to make a powerful experimental drug for cell research. This is like plug and play for computer parts, so to speak. Promiscuous domains are like plug-and-play lego parts that show up in different proteins. The similarity cannot be explained by DIRECT common descent. Evolutionary biologists have have admitted they don’t have an explanation. Random cut-and-paste is not a good explanation for the pattern because the cut has to be surgically precise and so does the insertion! I’m not the only saying this is a problem, evolutionary biologists are — despite the claims by Entropy and DNA_Jock that it’s not. The literature agrees with me, not them. I prove my critics here wrong yet again! You yourself found the paper to that effect! Do you mean exons that can be alternatively spliced out? This is pretty interesting in a lot of ways. Which also means the remaining part needs an alternative promoter! The KRAB domain presents one of the strongest repressors in the human genome. Once the KRAB domain was fused to the tetracycline repressor (TetR), the TetR-KRAB fusion proteins were the first engineered drug-inducible repressor that worked in mammalian cells. Plug and play lego parts! I love it. This was the beginning of Designer Transcription Factor proteins by the Pharma companies. So we have designer man-made proteins that deliberately make a domain “promiscuous” for their own ends. The process involved surgically precise cut-and-paste, not random tandem duplication like Entropy and DNA_Jock claim for ZNF136. God made proteins with promiscuous plug-and-play domains, and now man is learning to do the same. Most mutations are “bad juju”, but maintaining that the regulatory network is immutable because of constraints, right after Michael Behe launched a book explaining how organisms adapt by breaking stuff is probabaly not the best timing. I see you lifted the figure from the same paper I was reading. I assume that you did not only copy the pretty pictures, but also carefully read the paper. Could you comment on the scenarios detailed in paragraphs The evolutionary path of KRAB-ZFPs and TE/KRAB-ZFP co-evolution: both an arms race and domestication, which describe an arms race with parasitic transposable elements and subsequent domestication of certain members of those? Sounds like seriously good juju to me. Could you comment on the scenarios detailed in paragraphs The evolutionary path of KRAB-ZFPs and TE/KRAB-ZFP co-evolution: both an arms race and domestication, which describe an arms race with parasitic transposable elements and subsequent domestication of certain members of those? I left to guys like you to highlight silly explanations. “tornadoes assembled them so that people could drive them” does that count as proof of evolution by tornadoes? Not one IOTA of analysis of the feasibility of the claim. I started with the problem of RANDOM TANDEM duplications and then waiting time. The “arms race” claim doesn’t proceed from systematic analysis. stcordova: I left to guys like you to highlight silly explanations. At one point you argued that RANDOM TANDEM duplications would inevitably end up being deleterious (“bad juju”), because every possible mutation would disrupt an existing signaling network. But if the target elements try to escape transcriptional repression (which TEs and viruses do), then mutations are absolutely required to fuel the ongoing arms race. This seemed relevant to me. For your presentation, I have another tip for you: if any of those bigwigs you are presenting for asks you a question, then you should always try to respond to it and not casually dismiss it with some irrelevant analogy. It is a bit rude, and makes it look like you don´t have a proper answer. Are you writing this down? Corneel: But if the target elements try to escape transcriptional repression (which TEs and viruses do), then mutations are absolutely required to fuel the ongoing arms race. What do you mean they “try”? Jesus wants them to? So they “try”? Are you asking because you genuinely can’t work out what he means by that? You may be right with most mutations but I think it depends where they are. There is evidence that some genes have more leeway than others. There are certainly some cellular processes that you cannot mess with to any degree or fitness is compromised. colewd: There are certainly some cellular processes that you cannot mess with to any degree or fitness is compromised. No, there is not. There is no gene anywhere in any species that does not have any population variance, or differences between species. There is no gene that is universally conserved at a level of 100% identity anywhere across the tree of life. Where did I say 100% conserved? colewd: Where did I say 100% conserved? Is this a new record for Bill’s sudden loss of memory? You didn’t have to use those words, it followed logically from your claim that “There are certainly some cellular processes that you cannot mess with to any degree or fitness is compromised”. If you can’t mess with them to any degree, then mutations aren’t allowed or they would be deleterious. If you can’t mess with them to any degree, then mutations aren’t allowed or they would be deleterious. This is not true at all. Any degree means to degrade the function of genes that control critical functions. This would correlate to high levels of preservation not 100% preservation.